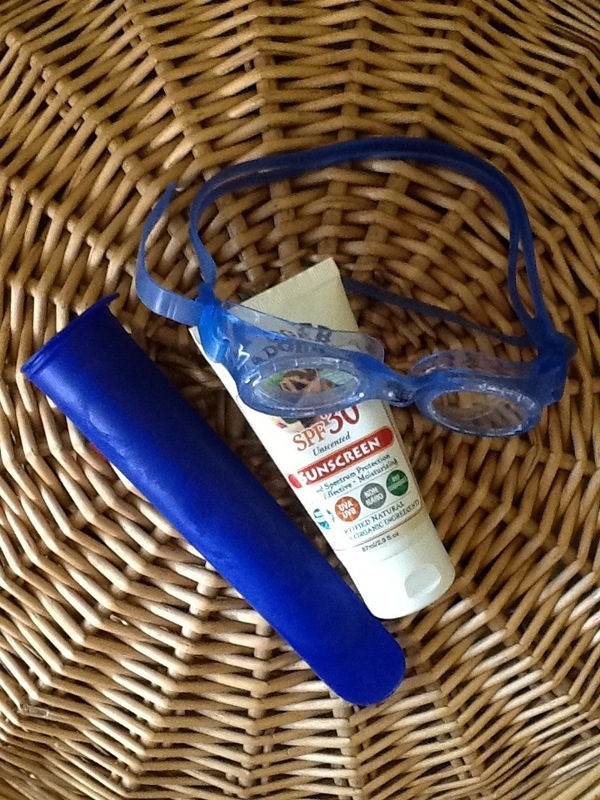 Here’s something to try with the kids while they are home over the holiday break. So easy. Unless you live in Arizona…then it’s not so easy. 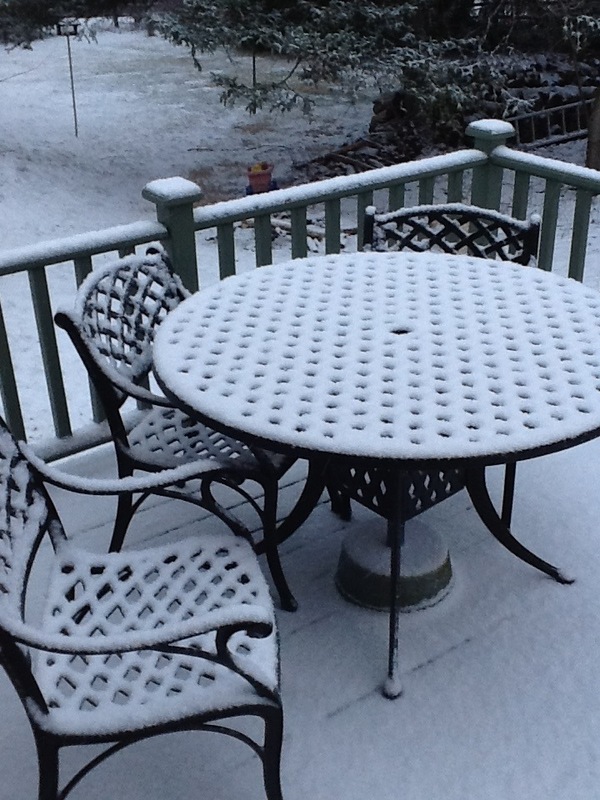 But here in upstate New York, we just hold the bowl out the front door and within 5 minutes…fresh, clean snow…all you can eat! 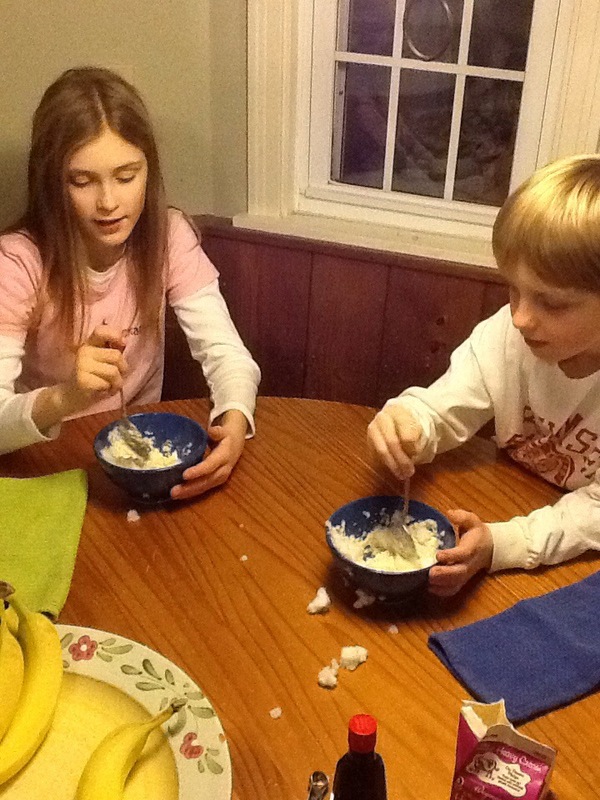 Send your kids outside to collect a big bowl of fresh, clean snow. 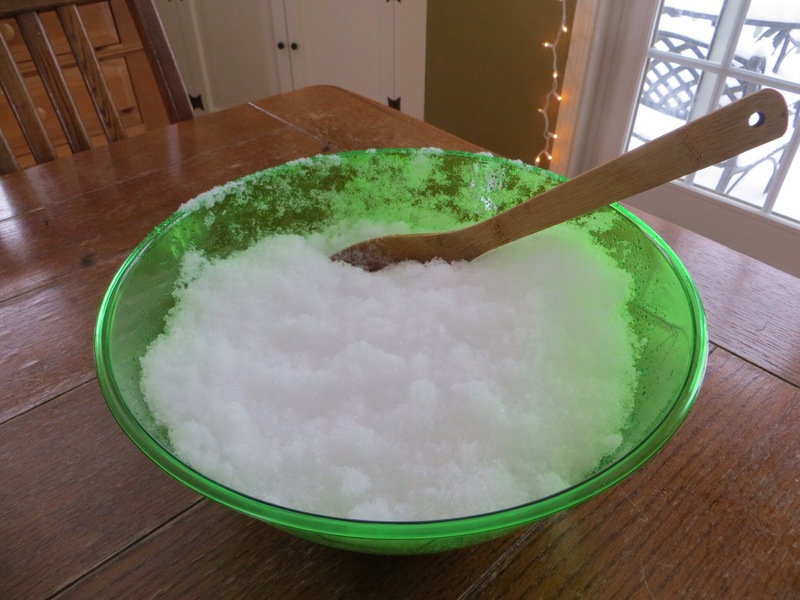 Place several cups of snow into a serving bowl. Add 1/4 tsp. of vanilla, 2 Tbs. of real maple syrup, and 1/4 cup of heavy cream to each serving. Mix it with a spoon. If it’s too soupy, add more snow until it’s the consistency that you want. Eat immediately! This idea was borrowed from the Heavenly Homemakers website. I’m sending you around the web today to check out some of my favorite Fall treat ideas. This from “A Life From Scratch” is just adorable. If you are a “real food” purist…can’t go wrong with these from “Eating From The Ground Up”. And finally, if you’re wondering what NOT to give out on Halloween night, check out this informative post. Drat! I have little packages of #1 all ready to go…who knew?! 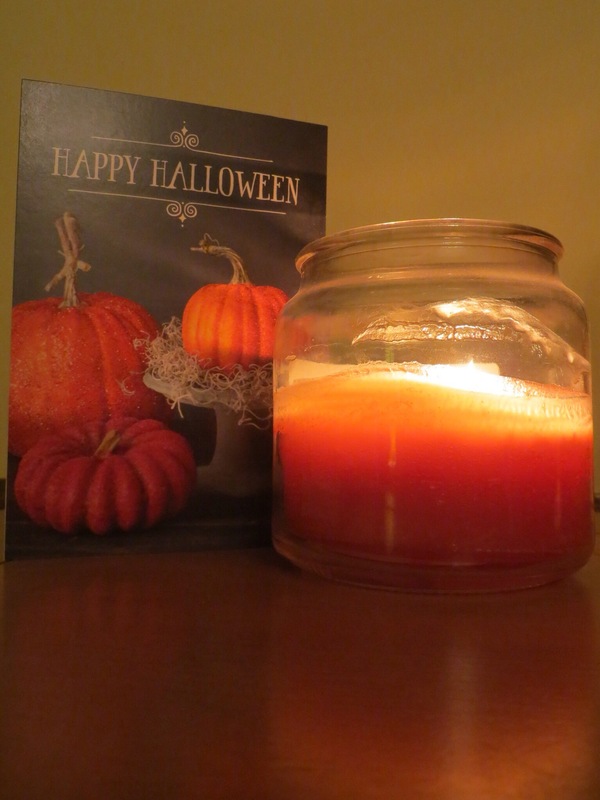 Have a wonderfully spooky and safe Halloween! We’re working our way through those bags of apples here! Apple Shake-Ups is something we’ve been making since the kids were toddlers. This shows up at the breakfast table a few times a week and sometimes we have them for an afternoon snack. 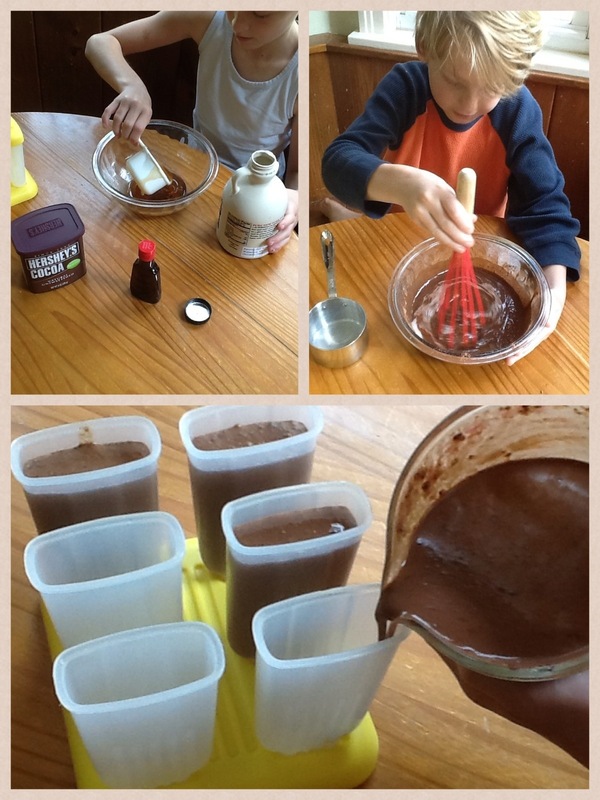 It’s also an easy thing for kids to make on their own and even toddlers can do the “shake-up” part. Using toothpicks to eat them somehow also makes it more fun! 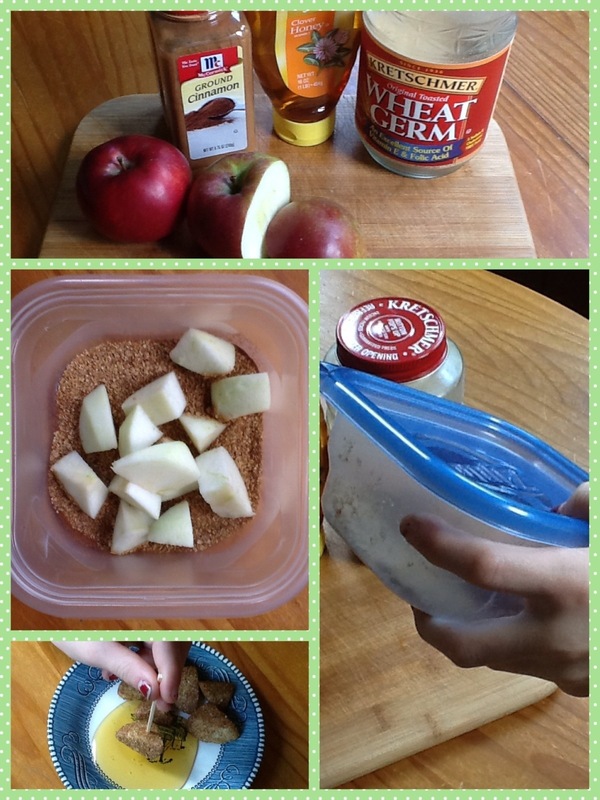 Put wheat germ and cinnamon (we use about a 2:1 ratio, wheat germ to cinnamon) into a container with a cover, add the chopped apples, cover the container and shake until the apples are evenly coated. Using toothpicks, dip the coated apples in honey or caramel if desired, or just eat them as is. I may or may not be addicted to these…they certainly don’t last very long around here. We are smack dab in the middle of our summer vacation and despite our “pool snack shack issues” , I am very proud of the fact that I have not yet purchased a single box of packaged frozen treats. (We won’t talk about how often I’ve ordered take out food this summer…yikes!) These homemade fudgesicles are simple to make and much better for you than what can be bought in the store. There’s still plenty of summer left…enjoy! Whisk the maple syrup, cocoa and vanilla together until smooth. Gradually whisk in the yogurt and the milk. Pour into the molds and freeze. It is finally berry season where we live! We are hoping to get out and pick some at a local farm next week. Strawberries are ready now and raspberries and blueberries will be coming soon. 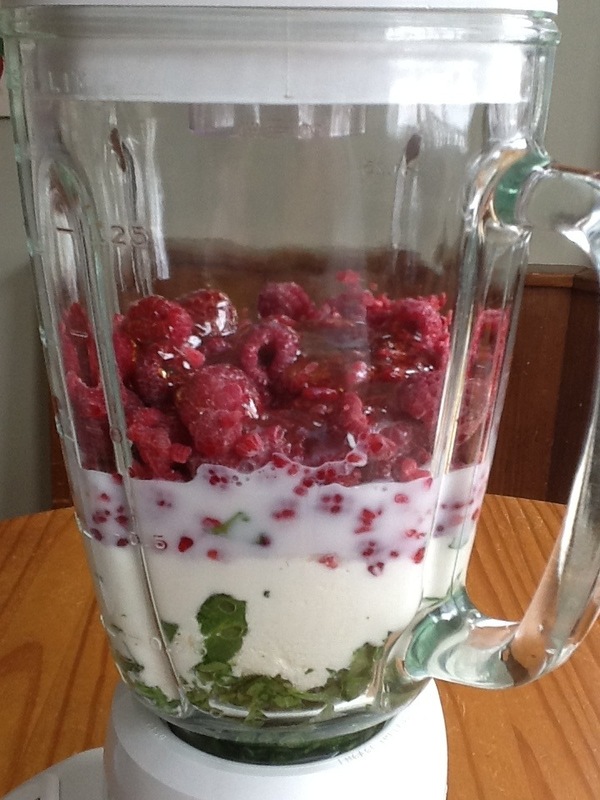 I have great memories of picking raspberries every 4th of July at my parent’s home and then pouring milk over them…mmmmm…I may have also sprinkled on a bit of sugar! Here’s a recipe for Berry Muffins, adapted from 100 Days of Real Food. 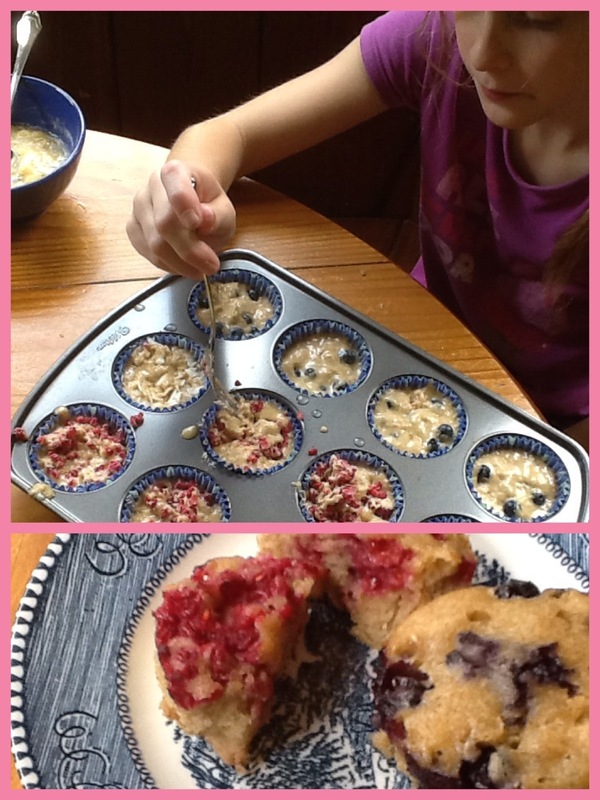 The idea that I love is customizing them…instead of folding the berries into the batter, you can stir them into the individual muffins after you’ve poured the batter into the tins. This is nice when you have random amounts of different berries that you’re trying to use up, or you have someone who won’t eat blueberries (how you cannot love blueberries, I have no idea!) or you want to add nuts to some, but not all. I usually double this recipe and freeze the extras. Berries, rinsed. Diced, if they are large. You will need 1 to 2 cups. 2. Line a muffin tin with liners or grease them with softened butter. 3. Combine dry ingredients in a large bowl and whisk together. 4. Stir together the eggs, butter, honey, vanilla, juice and oil in another bowl. 5. Pour the wet ingredients into the dry and stir until just moistened, don’t over mix. 6. Fill the muffin tins about half full of batter. Stir in the fruit/nuts. 7. Bake about 15 minutes until a tooth pick inserted into the center comes out clean. When I was a kid growing up in the (gasp) 70’s…the “health craze” was a fairly new phenomenon. Fast food was becoming more common, although the town that I lived in did not acquire a fast food restaurant until after I had left for college! Mothers at home fixing 3 meals a day were no longer a given, and the 1972 introduction of the first video arcade game by Atari (if you remember “Pong” you are really, truly old!) ushered in a new age of kids sitting on their behinds that changed the culture of childhood forever. Back then, all the fun, new convenience foods that were coming out were kind of exciting. Most of us didn’t understand the impact these foods might have on our health and a lot of families were still preparing and eating the majority of their food at home, with real, whole food ingredients. So to mainstream America, the people raising the red flags and talking about how we all needed to get back to a more natural way of living and eating seemed a little strange…and we called them “Crunchy”…a reference to that most healthy of all health foods…granola! Today, in 2013, there are many granola products on the shelves and just as with any other product of our modern food industry, it’s important to check out the ingredients list. You can find granola made out of real food, but it tends to be expensive. Here’s the recipe we use. I don’t even know where it originally came from, as it’s just copied onto a piece of scrap paper, so I apologize for not being able to properly give credit. The nice thing about making granola is that you can pretty much just throw in what you have available and can customize it to reflect what you and your family like. We eat ours as a cereal with milk and we also sprinkle it over yogurt and fruit. My husband likes to just grab handfuls of it to snack on. Because it’s full of fiber, protein and healthy fats it tends to be very filling. 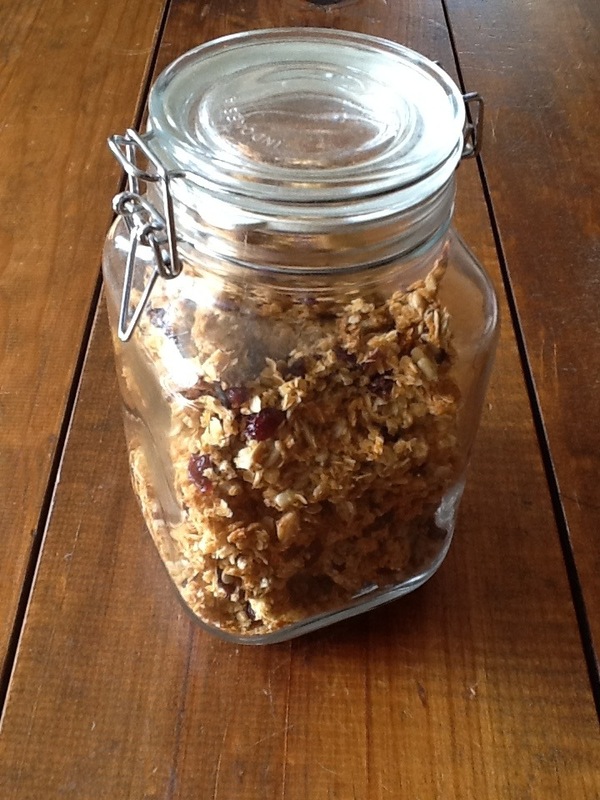 A batch of granola in a large jar also makes a great gift. Enjoy! 1. Melt the honey and coconut oil together in a saucepan over low to medium heat. 2. Stir the dry ingredients together in a large bowl. 3. Pour the honey/coconut mixture over the dry ingredients and stir to mix thoroughly. 4. 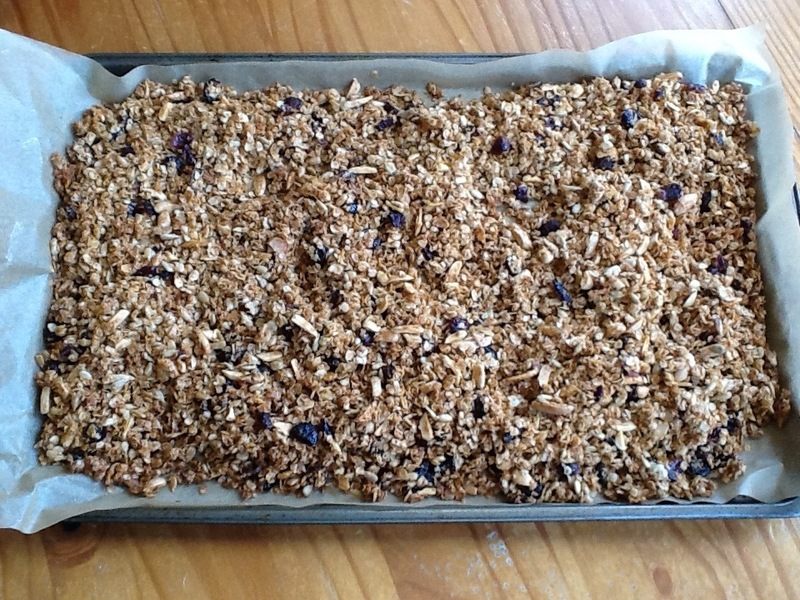 Spread onto a large, parchment paper lined, baking sheet. 5. Bake at 300 degrees for about 45 minutes, stirring halfway through the baking time. 6. Store in an airtight container for up to two weeks. 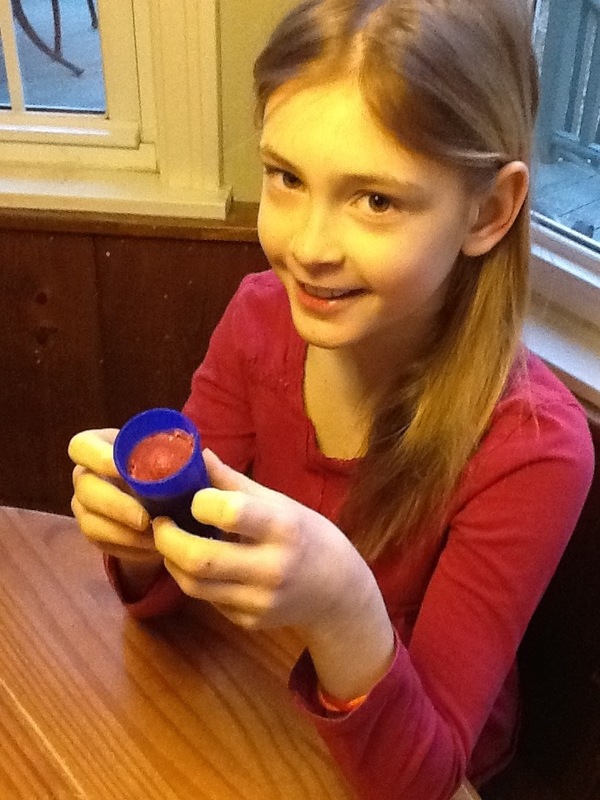 Katie: Recently, my Mom bought some containers that you can freeze smoothies in, off of Amazon. Well, they were a big success. I have them in my lunch all the time. My favorite kind of smoothie is berry. I like these a lot more than Popsicles. My brother does not like smoothies, so sometimes we put fruit juice in the containers for him. I love smoothie pops! Debbie: We’ve made smoothies for years, but I had never thought about freezing them until recently and had no idea that I could send them to school in the kids lunches. The picture above shows a blue freeze pop mold (made by Norpro). These are made out of silicone and are dishwasher safe. 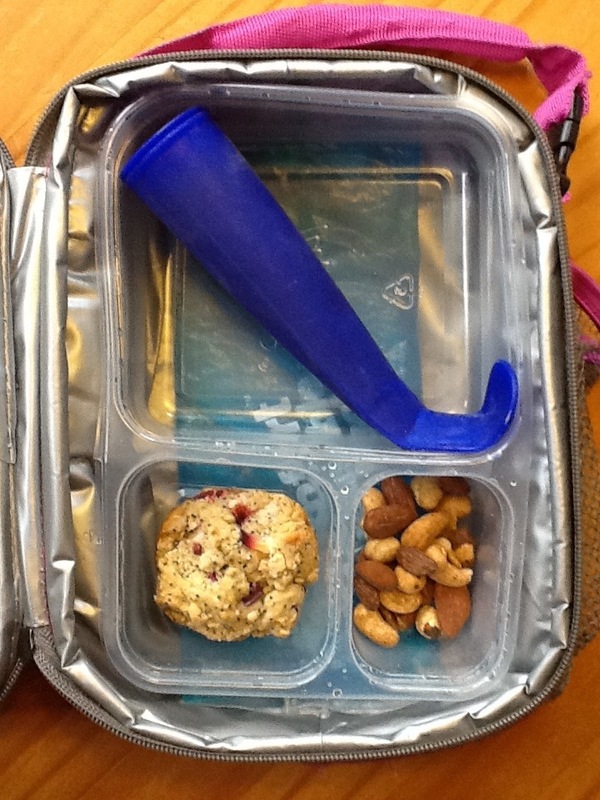 They are flexible so I can bend them to fit into the ziplock divided lunch containers that we use. They do not stay frozen, since Katie eats lunch about 5 hours after I pack it. She says that it’s a very cold smoothie by the time she eats lunch. So you do have to be careful how you position it and make sure your child understands that it will be liquid when they open it. Once you’ve made these a few times, you won’t really need to follow a recipe…I just add things until it’s the consistency and taste that I want. This recipe is adapted from the 100 Days of Real Food’s site and she has a whole post about these freeze pop molds. I’ve had them for about two months and I use them every week. Another tip I found on My Sister’s Pantry (a great “real food” blog that I recommend you check out! )…you can freeze spinach into ice cubes to keep in the freezer so you always have some greens on hand to add to your smoothies. 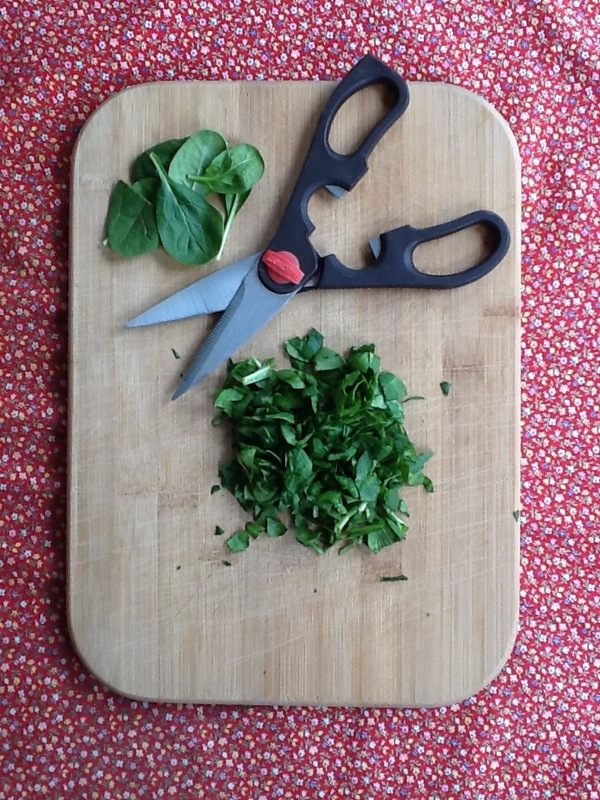 Just blend about 3 tablespoons of water with every cup of chopped up spinach (or whatever kind of greens you want to use) in your blender, pour into an ice cube tray and when frozen, pop them out and store them in a freezer bag. By the way…according to the view out my back door…the answer to the title of this post is…NOT EVEN CLOSE! But we’re still going to make frozen smoothie pops anyways! Put Down That Bag of Doritos!!! My mom makes some yummy snacks! But, I do have some favorites. My absolute favorite snack is Nacho Chips. My mom takes some chips and puts taco meat and cheese on them. Another one of my favorite snacks is a peeled, hard boiled egg with a small bit of salt. 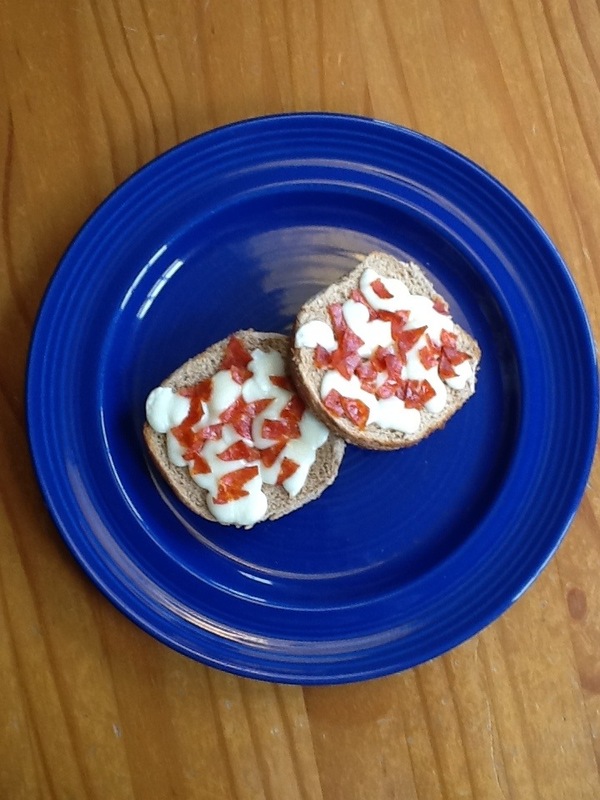 My third favorite snack is easy peasy and just about anyone can make it. The snack is cheese and pepperoni. 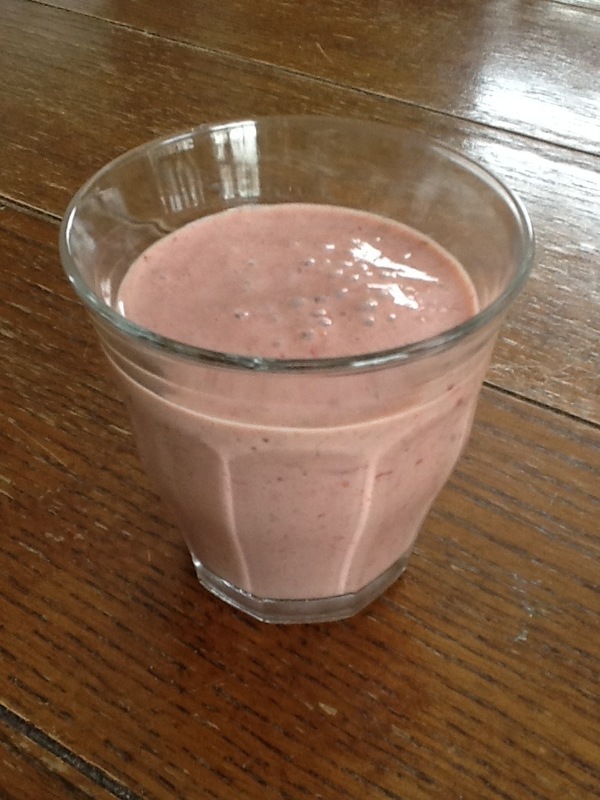 One more favorite snack I have is a smoothie pop which is something we will do a post on soon. I hope you enjoy these simple snacks! Debbie: We work hard around here to make sure our snacks are as healthy as the meals we prepare. My kids will, of course, go for the bag of Doritos any day if given that as a choice…but fortunately, I’m the one with the wallet buying the snacks, not them. And it does not bother me when they occasionally eat a snack that I cringe at, because, for the most part, their snacks at home are foods that I’m comfortable with. I try to look at snacks as a tiny healthy meal and not as a “treat”. “Treats” are for birthdays and Halloween and other special occasions. I think part of the problem we’re having in our current food culture is that our “special occasions” seem to happen every single day! 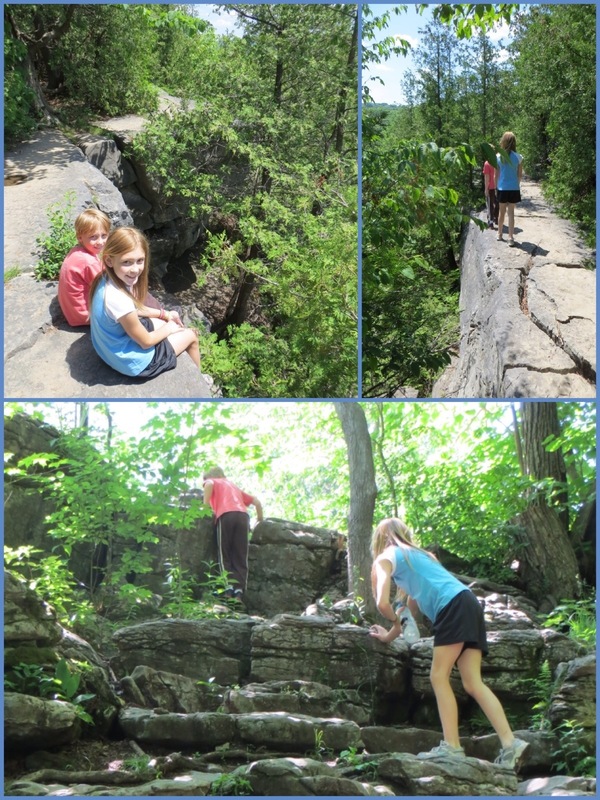 The other thing that has changed is the need for portable snacks due to the activities we have our kids in. When I was a child, if we weren’t at school, we were usually at home and not traveling around the community en route to our next scheduled event. And when we did participate in something that was under two hours, we usually weren’t served a snack. There were no small bags of pre-packaged foods like we have today. We never ate snacks in the car. There was not a slushie machine around every corner and candy was pretty much reserved for Easter and Halloween. If you happened upon a gum ball machine in your travels, it was one lone machine, not a group of twenty with an assortment of choices that would make your head spin! We are truly bombarded with snacking opportunities so much more than ever before. Anyone who knows someone who has a child with a nut allergy, knows the anxiety those parents face constantly, because sometimes it feels like everything that we do with our kids has a “snack” associated with it. 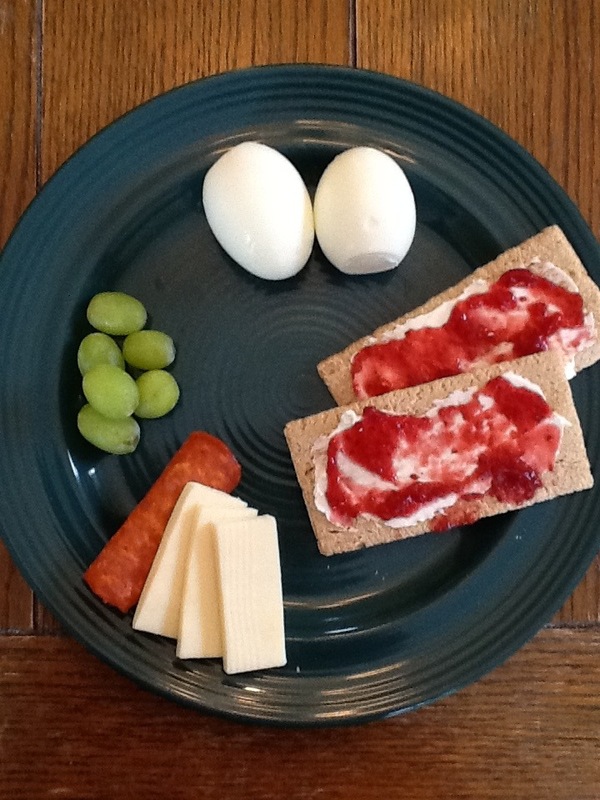 Well…I’ll step down from my soapbox now and get on with the purpose of this post…real food snack ideas. Obviously, fresh fruit and cut up veggies are always great, but here are some other choices that we like. For any of these options that involve a chip or a cracker, try to find a brand that has 5 or less ingredients and no high fructose corn syrup or artificial coloring. -homemade trail mix with nuts, raisins (or whatever dried fruit your child likes) and sunflower or pumpkin seeds…I’m ok with tossing in a few chocolate chips as well! Katie is having one of our homemade berry/spinach smoothie pops. Tell us about your favorite snacks. Have a great week!